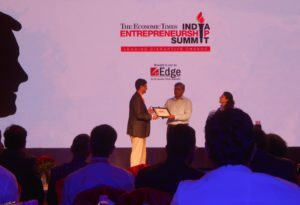 ET Edge organized the second edition of ‘The Economic Times Entrepreneurship Summit’, at Taj Palace, New Delhi on 16th June 2016. Economic times aims to bring the achievements and struggles of entrepreneurs to the fore as well as to promote the path breaking initiatives by them. After a research conducted by ET team, it has selected a list of entrepreneurs and businesses to be recognized as Promising Entrepreneurs in India. Entrepreneurs and companies from various industries such as, IT, BFSI, Healthcare, e-commerce etc. were recognized and facilitated. REPL was the only organization from Infrastructure Consulta ncy domain. 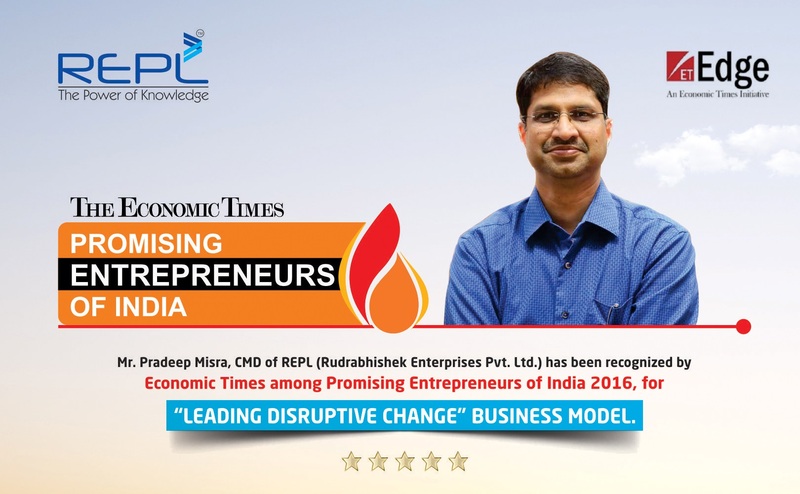 Mr. Pradeep Misra (CMD-REPL) was recognized among the ‘Promising Entrepreneurs of India 2016’ for ‘Leading Disruptive Change’ (an innovation that creates a new market and value network and eventually disrupts an existing market and value network, displacing established market leaders and alliances). Mr. K. K. Jalan, Honorable Secretary, Ministry of Micro Small and Medium Enterprises (MSME) was the chief guest at the event. In his keynote address, Mr. Jalan talked about the entrepreneurial India and the role of government. He emphasized that the entrepreneurial culture has shown growing trend in recent years. Although the fundamental entrepreneurial spirit is dependent on an individual, the government set-up is committed to whatever facilitating environment it requires. The efforts put in the initiatives like single-window clearance, one-page form, Make-in-India & Skill India campaigns etc., should ultimately contribute towards ease in doing business, and bringing new opportunities for young entrepreneurs. Economic Times (ET Edge) also launched a premium coffee table book, which details the views and business models of all these leading entrepreneurs, in order to promote and position their works properly. This will be widely circulated across country among the Government ministries, airport lounges, leading corporate houses, financial institutions etc.